Elume Electrical - Alarms/Security, Electrician based in Leamington Spa, Warwickshire. We are a local electrical installation company based in Leamington Spa providing a friendly and professional service to Leamington Spa, Warwick, Kenilworth, Coventry and the surrounding areas. From small maintenance jobs to complete rewires, we’ve got it covered for all of your electrical needs! We offer the highest standards of electrical work at competitive prices and pride ourselves on operating in a clean, tidy and conscientious manner as we strive to deliver complete satisfaction to all of our customers. No job is too big or too small! 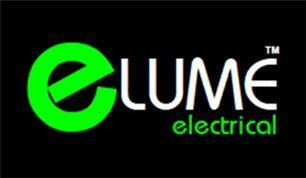 Elume Electrical is based in Leamington Spa with over 10 years of experience in the local area. We provide a friendly and professional service to customers within a 30 mile radius and our electricians are working to the latest BS 7671:2008 IET Wiring Regulations. All electrical work is covered by Public Liability & Professional Indemnity Insurance. Elume Electrical is registered with 'NAPIT’ to carry out domestic electrical work under Part 'P' of the Building Regulations.